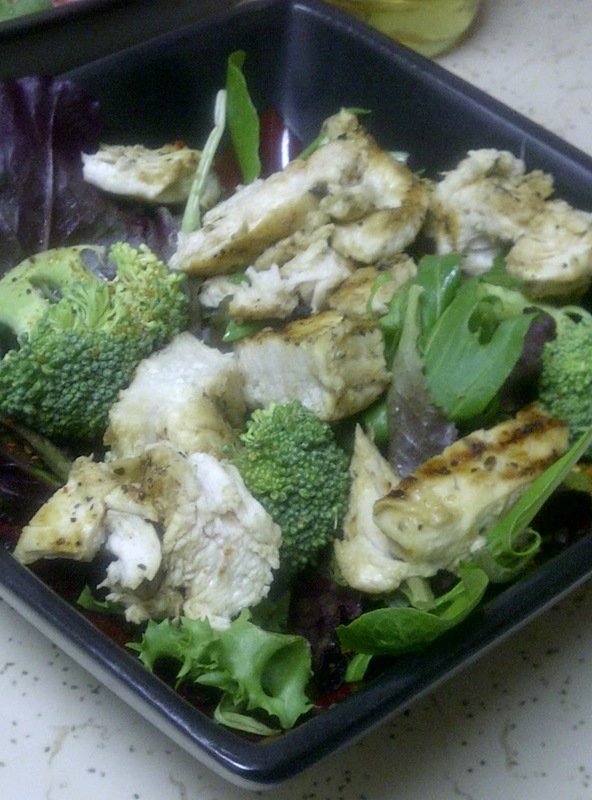 The Mister and I have been working on being healthier, so I decided to share a yummy spin on the classic chicken salad. Also, before a certain someone leaves a sassy comment, Mike did everything as I watched. I served the wine though…that counts right? Hehe! Season chicken with beer can seasoning, salt and pepper. Cook the chicken on each side for 7-10 minutes or until cooked through. We used a griddle, but a skillet will work too. Cut the chicken into 3/4 inch to 1 inch cubes. 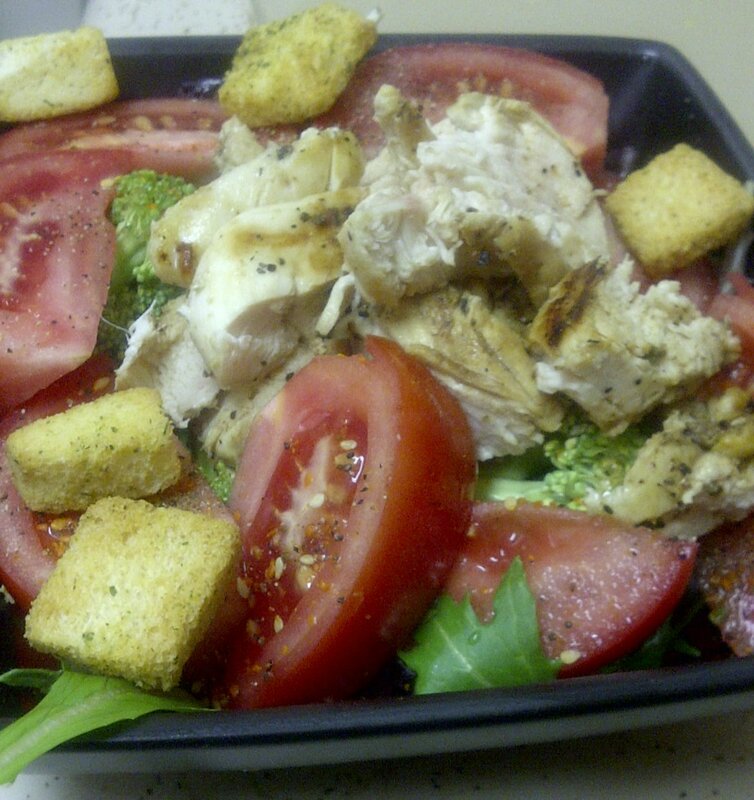 In a large bowl, you will toss the tomatoes, croutons, lettuce and broccoli with 3 to 4 tablespoons of rice vinegar. Dish it up and add chicken as desired. Mike and I had an entire breast amount left to use for lunch the following day. Viola! Fast, easy and only 250 calories per serving. My salad without tomatoes and croutons came to roughly 190 calories. I’m a texture eater and I don’t like the way tomatoes burst in your mouth. Is anyone else like that? I also don't like the way that tomatoes burst in my mouth. I also have lots of texture issues when it comes to food, so I'm a pretty picky eater, too. YUM! I am totally going to make this. I've never heard of beer can seasoning. Can I find that in the grocery store? Looks good! I'm not that big a fan of tomatoes either–they have to be exactly the right ripeness for me to like them!